After teasing the feature a couple of times this year, WhatsApp has finally rolled out support for video calling to everyone. 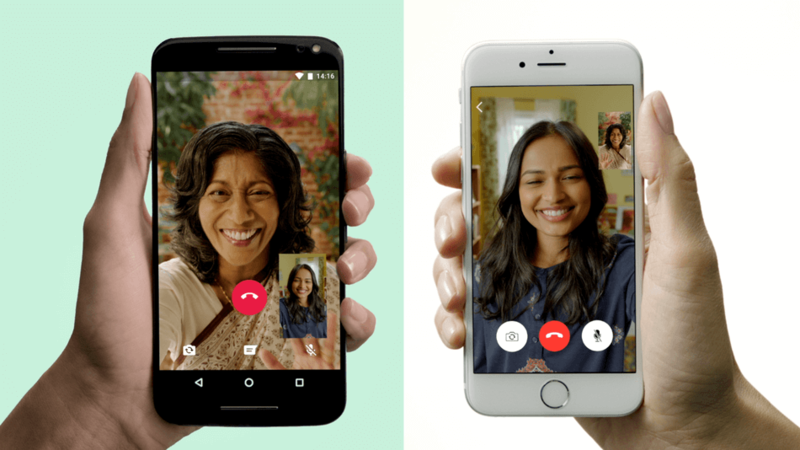 It will arrive on Android, iPhone, and Windows devices “in the coming days,” allowing users of the popular chat app to make free, one-on-one video calls. Not long after WhatsApp introduced end-to-end encryption and standalone desktop clients in early 2016, the video call option briefly appeared for some users of the Android app via the Google Play beta testing program. It returned for a wider number of beta users last month. Placing a video call is as simple as starting a chat and clicking on the phone icon. You’ll then be given the option of making either a voice or video call. As is usually the case with this type of feature, the quality is excellent when connecting over a strong Wi-Fi signal but it may suffer when using mobile or slower connections. WhatsApp joins the likes of Messenger, Snapchat, Skype, WeChat, and Duo in offering free video calls. There isn’t support for group chats, though that could arrive at a later date. The company said it introduced video calling as it was one of the most requested features among its worldwide user base of over one billion people. "We're introducing this feature because we know that sometimes voice and text just aren't enough," WhatsApp wrote in a blog post. "And we want to make these features available to everyone, not just those who can afford the most expensive new phones or live in countries with the best cellular networks." Facebook may appear more focused on Messenger, but WhatsApp, which the social network also owns, is still the most popular messaging application in the world. The introduction of free video calling should help cement its position at the top. You can download it right here.